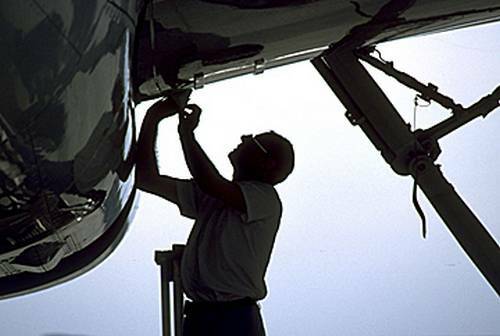 Myth #6: Only an FAA-certificated mechanic can perform maintenance on an airplane. This myth can cost you — big time. A typical GA maintenance facility can charge $100 per hour, and aircraft spend far more time in the shop than even the most maintenance-prone automobiles. Do the math and you’ll see that, especially if you don’t fly your airplane at least a couple hundred hours per year, maintenance can easily top all other ownership costs combined. Why pay that much when you can do much of the work yourself? Experts agree: Aircraft owners who studiously and routinely do some basic maintenance themselves, rather than waiting for the 100-hour or annual inspection, not only might save money in the long run by averting major repairs, but also reduce the aircraft’s down time, fly more safely, and learn valuable information about their airplane, which makes them better able to detect and troubleshoot problems that arise during the preflight. These chores range from changing tires, servicing shock struts, and simple lubrication, to repairing broken landing-light wiring circuits, cleaning and replacing spark plugs, servicing and replacing batteries, and making simple repairs to cowlings and farings. If you do perform any such tasks, you must have the appropriate maintenance and service information at your fingertips. The 32 preventative maintenance tasks cover the vast majority of everyday jobs you’d be paying a mechanic $100/hour to do. The full list includes some surprisingly critical items: fabric skin repair, replacing windows, changing out fuel lines, hoses, and filters, servicing wheel bearings, and painting the airframe. Better yet, if you can find a certified Airframe & Powerplant mechanic who is willing to supervise your work, there’s virtually no task you cannot legally perform. I used to participate in the annual inspection of my aircraft, and it not only saved me money, but the “hands on” aspect of swinging wrenches on the plane taught me more than any book or class ever could about what goes on under the cowling. Myth #7: Shock-cooling an air-cooled piston powerplant causes premature wear, engine damage, IRS audits, and the defeat of your favorite sports team. When I was working on my commercial pilot certificate, I was taught that power reductions of more than 2″ MP per minute were verboten due to shock cooking, the concept that if the engine cooled too quickly, the hottest part of the top end could warp or crack. Myth or reality? The bottom line on shock cooling is that yes, it does exist. It’s scientifically provable. If you heat a thin slice of metal to several thousand degrees and then plunge it into a tub of sub-zero water, it will warp if not crack. But aircraft engines do not operate at such temperature extremes and generally cannot be cooled quickly enough to cause damage of that severity. Shock cooling: myth or reality? The closest thing we’ve got to those extremes might be a skydiving operation where an aircraft departs at heavy weight and climbs to altitude, drops the skydivers, and then makes a long fast descent at idle power. They’ve been doing it for decades and you don’t see any jump planes falling out of the air. Aerobatic aircraft powerplants are probably the most highly stressed and badly abused engines in the sky. Slamming the throttle from full power to idle, over and over again. Rapid shifts from high power/no airspeed to low power/high airspeed. Heavy G loads, odd stresses on the crankshaft from propeller-induced gyroscopics. In my experience, those engines don’t seem to suffer from shock cooling any more than they do from other forms of hard living. Kas Thomas: Shock Cooling, Myth or Reality? Myth #8: You can become a pilot with just 40 hours of flight time! Flight training providers are for-profit companies who rely, in part, on advertising to find their customers. It’s understandable that they want to make flight training as appealing as possible. However, it’s short-sighted to advertise a pilot certificate based on the legal minimum of 40 hours. Obtaining a pilot certificate in only 40 hours is virtually impossible in today's complex aircraft. Can it be done? Yes, it’s possible, but only a miniscule percentage of aviators complete their training in that time. The national average is now over 70 hours. There are several reasons for this. For one thing, the regulatory minimum of 40 hours has been in place for decades. Back then, airspace was simpler, there were fewer regulations, no TFRs, and society in general was less litigious. Today, we have ballistic parachutes, wake turbulence procedures, computerized flight displays, additional training requirements, more complex aircraft, and a far lower tolerance for risk than they did fifty years ago. The 40 hour minimum remains on the books, but don’t think that you’ll be a properly trained pilot in that time unless you come to the table with a high level of aptitude, plenty of drive, and can train intensively. Oh, and you’ll want to fly a simple airplane (Citabria, anyone?) out of a quiet airport. Myth #9: Stalls and airspeed are related. To my mind, this is one of the most dangerous misconceptions in aviation. Airline accidents like Air France 447 and Colgan 3407 can be traced to it, as can hundreds of GA crashes. I wish this one was relegated to students or flight simmers, but it’s not. Most pilots equate stalls with low airspeed, but in reality the two are unrelated. The pilot most likely to have a proper understanding of the relationship between stalls and airspeed isn’t the professional airline pilot with 20,000 hours in his logbook, it’s the guy who flies competitive aerobatics, because they see the extremes of the envelope again and again. It's all about angle-of-attack, not airspeed! An aircraft’s stall speed will vary — sometimes dramatically — with load factor, weight, CG location, and other factors. What does not change is the relationship between stall and angle of attack. Any airfoil will stall at the same angle of attack. When you exceed that AoA, it stalls regardless of your airspeed. Aircraft can be flown at any airspeed without stalling (even 1 knot!). Likewise, any aircraft can be stalled at any airspeed up to and beyond Vne. Think about that the next time you’re looking at that red radial line on the lower end of your airspeed indicator. We may refer to that as the plane’s “stall speed”, but it’s only valid on a clean, new airframe flying at very specific weight and CG location under a 1g load. Change any of those factors and the airplane will stall at a different airspeed. Myth #10: Tailwheel airplanes are not worth the difficulty and hassle. 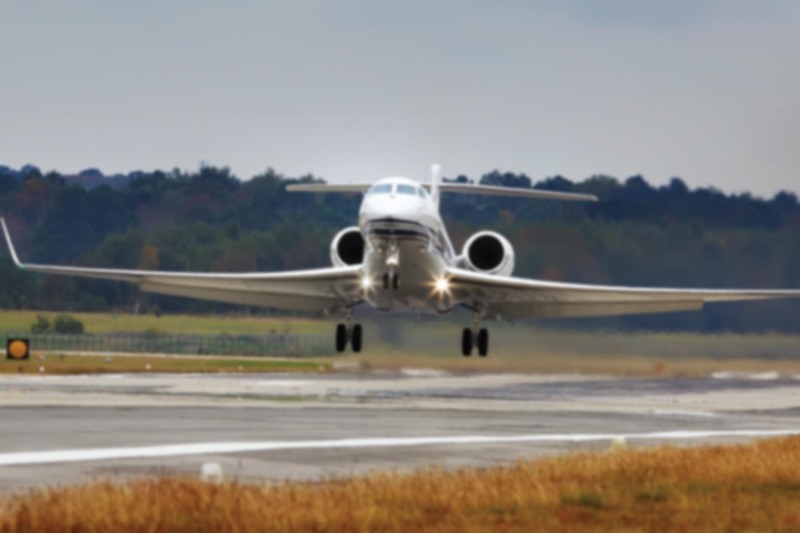 Tailwheels — airplanes with the main landing gear located in front of the center of gravity and a small third wheel under the tail — make great pilots because they have to be better in order to operate them safely. That’s a good thing. Sure, they have plenty of negatives: they’re highly unstable on the ground, suffer from limited forward visibility (if they have any at all! ), typically have weak brakes, and they’re more vulnerable to wind due to the built-in angle of attack when on the ground. The advantages? There must be some reason they keep building them, after all. How about better prop clearance, shorter takeoff and landing rolls, lighter weight and less drag than a tricycle gear configuration, tighter turning radius, and simpler, less expensive, more durable construction? 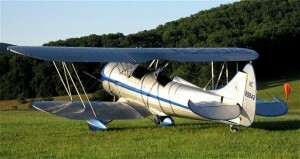 Beautiful, historic, and fun to fly. What's not to like? However, the big bonus a tailwheel provides is the serious upgrade in good old fashioned stick-and-rudder skill you get from flying one. No more dropping the plane onto the runway with the nose pointed who-knows-where and rolling out more as a passenger than a pilot. With a tailwheel, you learn to keep it straight, stop any drift, pay serious attention to where the wind is coming from, and most of all keep flying the airplane all the way to a full stop. It’s worth pointing out that you needn’t fly a conventional gear aircraft to become proficient at landing an airplane. Truth be told, the exact same technique is used to land GA aircraft regardless of landing gear type. But the tricycle gear configuration is far more tolerant of sloppy technique, and people tend to use only as much skill as is necessary for the aircraft they’re flying. As an instructor I’ve been guilty of it myself, demanding a higher level of performance from a Pitts student than one flying a DiamondStar. In an ideal world, I’d require the same high quality landings from both candidates. 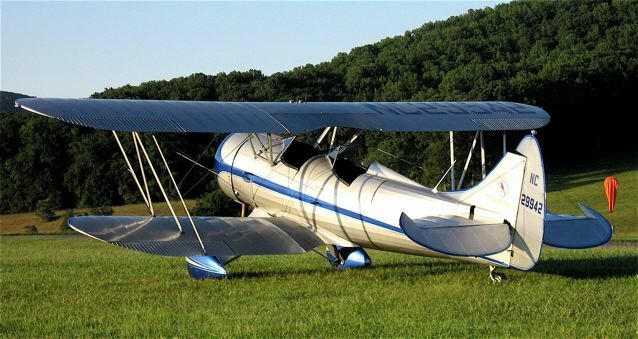 According to the Air Safety Foundation, takeoff and landing phases of flight are where the vast majority of aircraft accidents occur, and the skill developed by taming a taildragger can be put to use flying any airplane regardless of size. They can be a handful, but I was convinced years ago that these wonderful aircraft can do more than anything else to eliminate takeoff and landing accidents, not cause them.